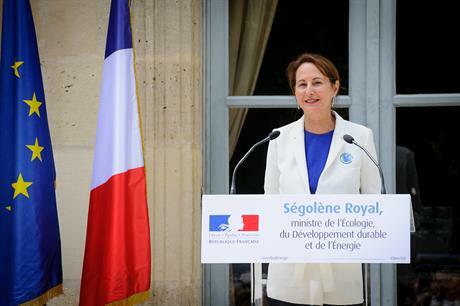 Royal asked the authorities of the Nouvelle Aquitaine region and the department of Charente-Maritime to begin consultations to define the location and identify a grid connection point, "paying particular attention to economic activities, especially fishing, and environmental issues". The capacity to be tendered will be announced at a later date, but is expected to be around 500MW. The announcement, which comes six months after a project off Dunkirk, was welcomed by the industry. "The competitiveness of the sector depends above all on the economies of scale permitted by several calls for tender with an ambitious target volume," said trade industry SER. The tender will take place under the new "competitive dialogue" procedures, whereby preselected companies and consortia will help clarify the project specifications, and the government will carry out site studies, such as wind measurements and geophysical investigations before the main tender is issued. WPD Offshore, which has been developing a project off the Ile d'Oleron for nearly three years, has been lobbying the government to support a project, with backing from local officials and the business community.